Final Fight | Shocking Videogame Secrets! In Final Fight Cody has an infinite. Basically all you do is do the first two punches of his string, turn around(away from the enemy you’re infiniting) and whiff a punch, then do the first two punches again, repeat until boss dies. In Street Fighter Alpha 3 one of Cody’s super moves has him doing just that! I can’t seem to find a decent vid of Cody’s SFA3 super but do his QCF QCF+P one and boom. His first few attacks will show him doing his FF infinite. Cacildo´s note: I remember seeing the older kids doing this in the arcade… but most of em did this “infinite” trick with Guy!! 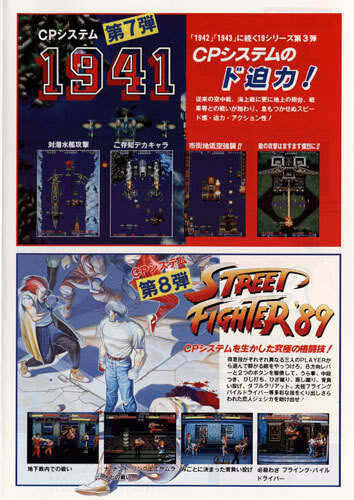 Final Fight was initially going to be a sequel to Street Fighter and, as this arcade flyer clearly indicates, it’s original name was Street Fighter ’89.